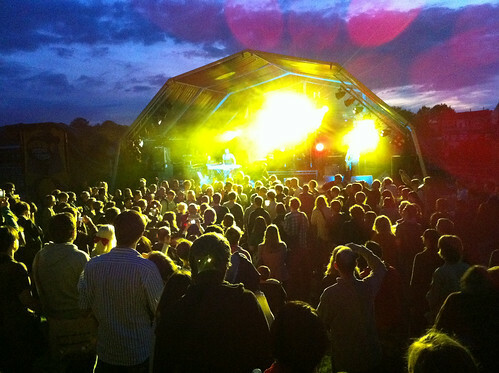 Indietracks - an indiepop festival: Thanks for coming! Wow! Wasn't the weekend FANTASTIC? We can't believe another year has come and gone already - it seems like only a couple of minutes since we were sipping Crabbies' ginger ale and getting ready to watch Friday's excellent line-up... how did it go so quickly? First off, we want to say thank you to all the bands, DJs, workshoppers and merchandise tent volunteers who worked over the weekend - you did such a brilliant job! Secondly, we want to say a huge, huge thank you to all the Midland Railway volunteers who worked so tirelessly over the weekend to make the festival so fantastic. We really can't thank you enough for all of your work - you're amazing! And, most of all, we want to say a massive thanks to YOU for coming. We really appreciate all the support that you continue to give us year after year, and also for all the helpful suggestions and feedback that you continue to give us. We couldn't do it without you! We're currently sifting through the huge amount of photos, videos and reviews currenntly being uploaded, and we'll bring you a selection of some of our favourites over the next few days. Do keep popping back here over the next week or so. In the meantime, do share your Indietracks photos with the Indietracks Flickr pool. And if you'd like discuss your thoughts and memories, why not visit the Anorak forum and tell everyone about your personal highlights? and on 'Indietracks' behalf I'd like to extend the thanks to include the volunteer Stewards.